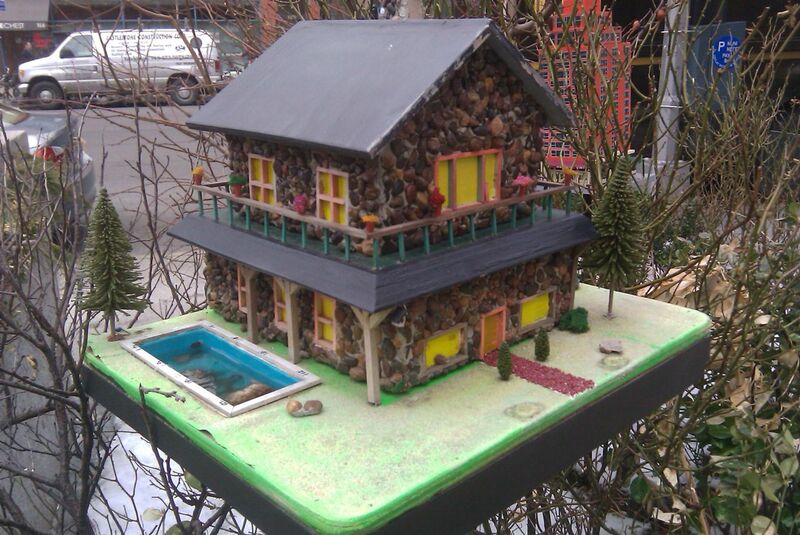 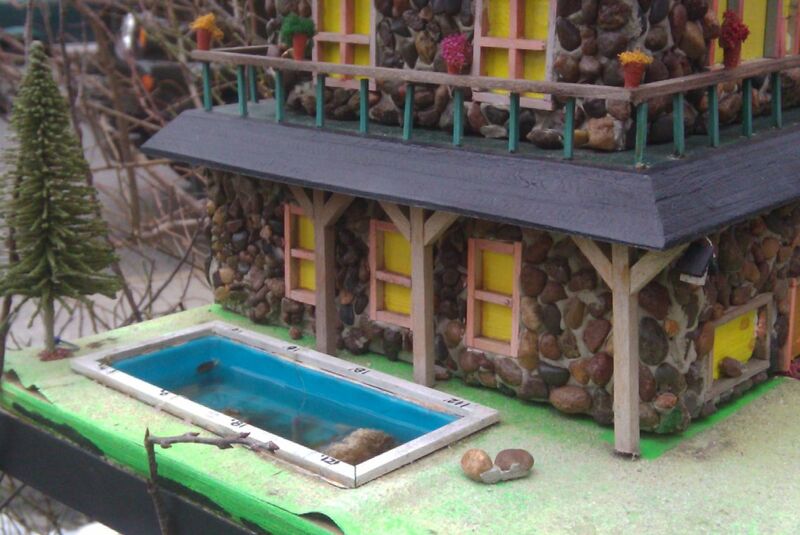 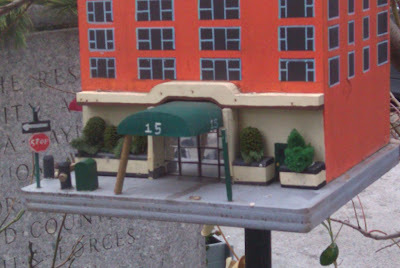 Dioramas and Clever Things: The birds of the West Village have cool digs. The birds of the West Village have cool digs. 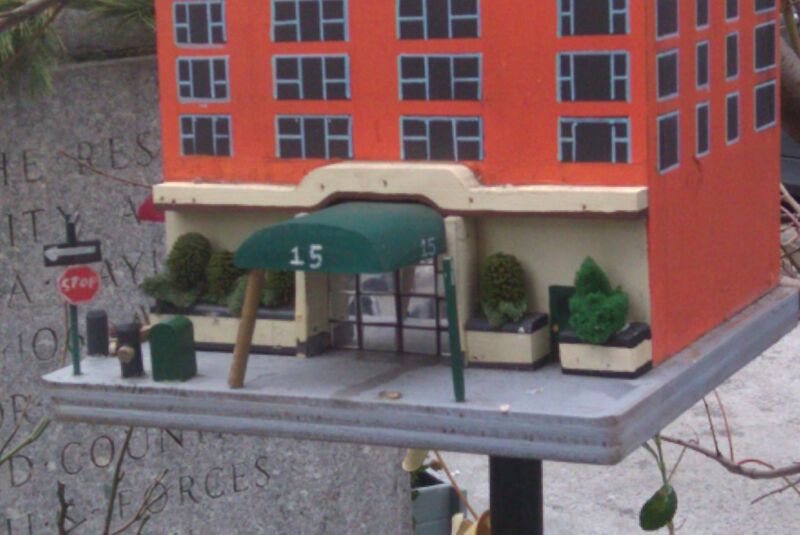 Saw these in the little park off of Seventh Avenue and Perry Street (New York City). 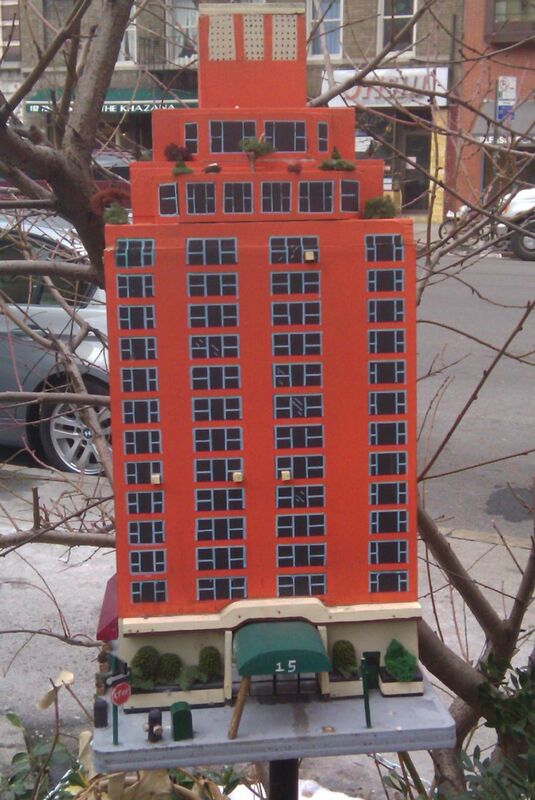 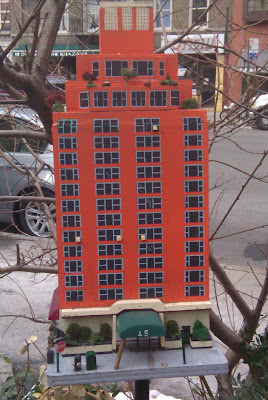 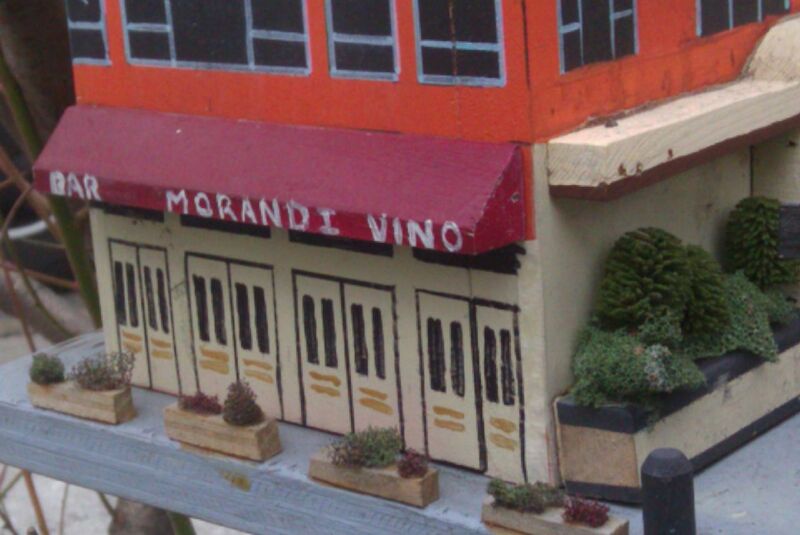 One is a model of the high rise across the street from the park, which houses the restaurant Morandi. A sign says they were built by Vincent Mele. 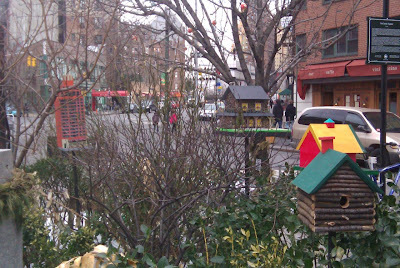 The birds of the West Village have good digs. I've seen those and always thought they were pretty cool.